Love this nautical striped blazer - it feels so fresh and crisp for summer! 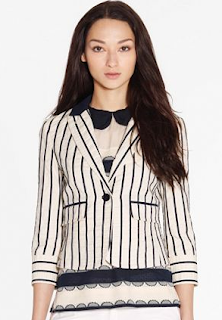 And everyone needs to invest in at least one light, summer blazer, especially here in sweltering yet conservative DC! Buy at Tory Burch for $375.